Lots of expats worldwide struggle with the feeling of being an ‘outsider’ everywhere they come. Joining a local sports club can be a very difficult step to take if you are going to be the only expat in that sports club. Trying to make new friends in already existing social circles in a culture that is strange for only you, is quite difficult. 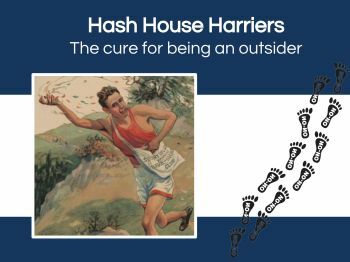 The Hash House Harriers are an international running/social club with a traditional history of being an expat-only club. The organization – active all over the world – is a great cure for being an ‘outsider’ for expats.